When all hell breaks loose, it's lucky for Skulduggery that he's already dead. Though he's about to discover that being a skeleton doesn't stop you from being tortured, if the torturer is determined enough. And if there's anything Skulduggery hates, it's torture. Will evil win the day? Will Stephanie and Skulduggery stop bickering long enough to stop it? One thing's for sure: evil won't know what's hit it. I started listening to this based purely on Rupert Degas narrating then someone told me it was a kids book. Regardless I loved it. The humor is very dry and it was well written and Rupert is so gifted, I listen to him narrate a phone book. Good light listen. I grew up reading the barnaby grimes books and the esge chronichles. This book took me back to those days with its similar style and charming wit. I absolutely loved it. Such a satisfying story with allot of laughs and allot of pleasant ;) moments. Wow, the voices, the characters. Narrator Degas is fantastic. Best I've heard. Story fabulous too. Out of all of the books I think this is the funniest. I have no idea why ai find it so funny. It just is, I completely agree with Stephanie I could listen to Skullduggery’s voice all day. I have only gotten up to Kingdom of The Wicked and then stopped after I got to Carol’s chapter cause I know sje ends up dying. I have a very much loved copy of Playing With Fire. I absolutely love the blurb on the back of the frist book. Its the best. This was a wonderful book and I love it and will very likely read it many more times in the future. I loved the narrator of this book. 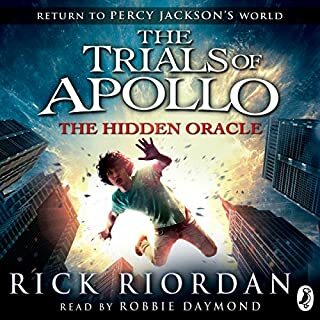 I've already read the whole series, but the audiobook is a different experience. I'd recommend Skulduggery Pleasant to younger and older readers alike, although as the series goes on the books do become more mature, kind of like Harry Potter does. Both of the book and reader. Well told, cleverly written and a good combination of voices for each of the characters. A good audio book, the Irish accent of the reader makes it all the better. Recommend by a friend and wasn't disappointed! The narrator is Irish, like the protagonist. AWESOME!!! The novel is a good novel, albeit it starts off a bit slowly and predictively. But once it gets off, it is quite interesting, with Skullduggery Pleasant providing a lot of smart remarks and replies. It almost feels like you are reading a movie script rather than a novel with the amount of action involved. On the good side, it has quite a few twists and turns, and the writer has used a lot of formulae (but not often used ones). 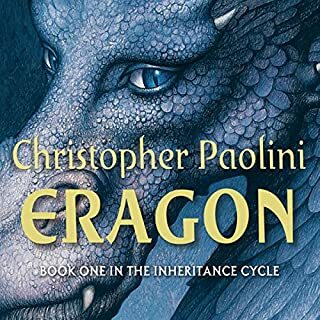 The only criticism is that, it uses about the "true name" and "taken name" concept which has been mentioned in quite a few novels, whether it is Eragon series or Barthemeus the djinn's serries. Apart from that, its a good read if you like Buffy the Vampire slayer type stuff (with a bit more humour and wit). 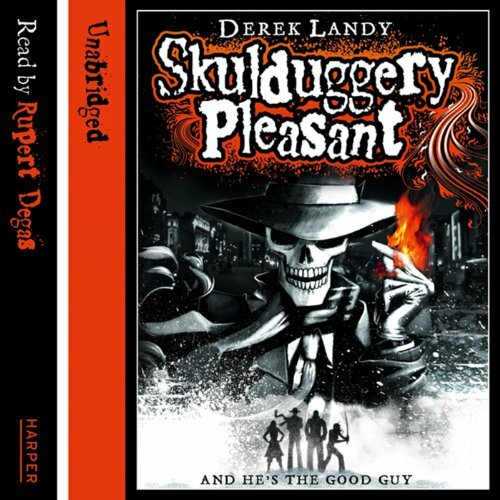 Would you consider the audio edition of Skulduggery Pleasant to be better than the print version? Yes I do. Having all the characters played out with individual voices make the story come alive . My favourite part was all the witty one liners, they were very funny and I did laugh listening to them. The arguments between Skullduggery and Stephanie were also hilarious. He was excellent. His voice was perfect for Skullduggery.. It had the right amount of sarcasm and experience.. It was easy to imagine him as the older wiser person in their friendship. His voice could be very creepy at times which set the scene on more then one occasion. At other times his voice was very droll. Perfect for who he was playing. I was not sure at the beginning if I would like a man reading the parts of Stephanie but it really worked!, he was great at it.After a while I forgot that it was a man reading female voices. It made me laugh. 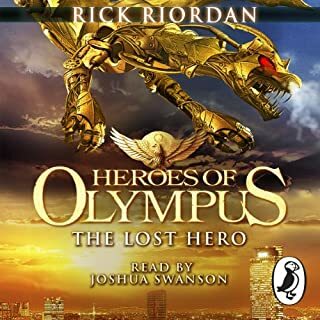 The banter between the two main characters was played out very well and I would easily buy more books in the series just from listening to this book. A wonderful series for the young or the young at heart who like adventure and bad guys that get what is coming to them. I had a few odd looks from my family as I burst out laughing while listening to this book. Rupert Degas has a brilliant voice that brought all the characters uniquely to life. This is certainly entertaining, and the narration is great. But I'd rather read a Pratchett. All the bits of this individually make for entertainment, it's just that all together they don't stand out as anything vaguely new or novel. Everything has been done before, better. Didn't finish it. What did you love best about Skulduggery Pleasant? The characters, storyline and narration kept me listening and entertained! The constant complications and resolutions kept me engaged and fascinated. Rupert's ability to adopt and adapt the various characters' voices was sensational and gripping. What a terrific narrator. Really made the story for me.! The meeting of Skulduggery and the key character at the outset will remain a powerful one for me. 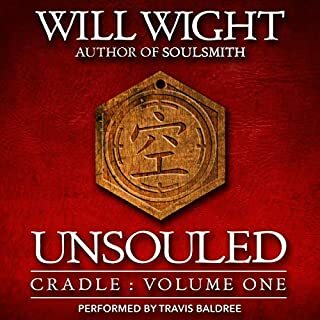 Best ever audio book I've listened to thus far. So I am a bit of a fan of teenage fiction but the genre can be a bit of a risk. I had looked at this series of books in the stores for a long time and have been tempted but not purchased one. 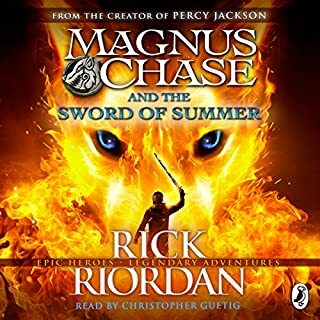 Then I listened to a preview of this on Audible.com ~~ well I was "sold" instantly. Rupert Degas has done one of the best narration jobs I have ever heard. The way he has bought the characters to life is nothing short of amazing. Rupert will always be the voice of Skulduggery for me now and I am glad of that. The story is fast paced and captivating. The action at times is non-stop and it is hard to "put it down" or in the case of an audiobook "turn it off". 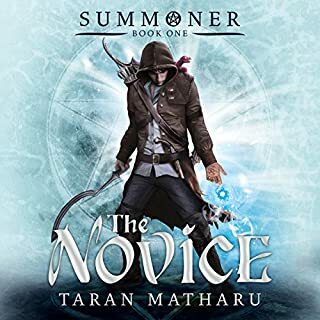 There is a couple of common fantasy themes as mentioned in the review above (notably the use of names to give power to people) but this is by no means detracting in my opinion but rather adds to the validity of a magic realm by having cross-over with other authors. The characters in the novel are the heart of the work and Derek Landy has demonstrated he is a master at character development. 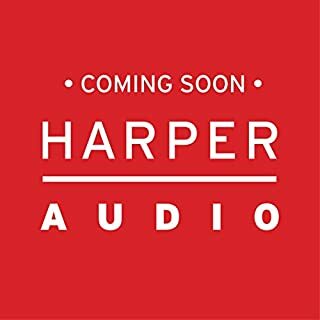 I look forward to listening to the whole series. Degas is nothing short ofa master narrator, and he easily manages to bring Landy's characters to life. From the rolling boulder to the seductive femme fatale, Degas does all voices with exquisite authenticity. Don't settle for lesser narrators - Degas is simply the best there is. enjoyed every second of it. Picked this up on a whim and have been so impressed by it that I've now bought all the others in the series. 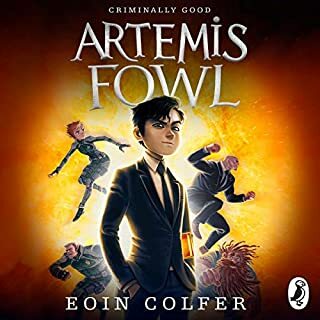 There are elements of Potter, Dresden and Artimis Fowl but only in the very losest terms....there is a young hero, magic is involved and it's based in Ireland. The rest is all Landy's own and feels it. The world is realised beautifully with the old device of a magic world hiding behind or 'real' one given a more believable feel than the fantasical Potter. 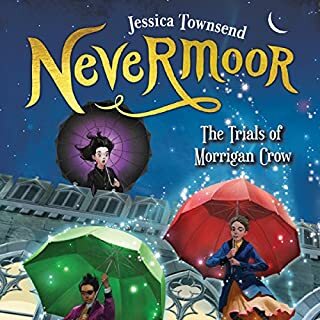 The characters are each distinct from each other and you'll grow to love the banter between Stephanie and Skulduggery with some proper laugh out loud moments - none of the dialogue feels forced or there for pure plot line purposes. A very natural feel is evident throughout. 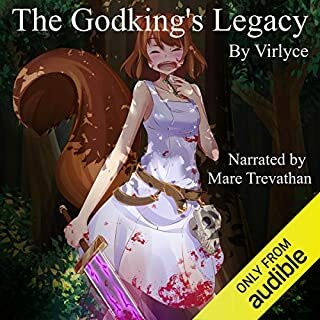 Special mention must be made for the narration by Rupert Degas which is probably the best I've ever heard in an audio book. He manages to convey the warmth and humour wonderfully and his pacing and style allows the listener to conjure up the images perfectly. Suffice to say that if you'd bought the phyiscal book it would now have it's own honoured place on your favourite shelf. 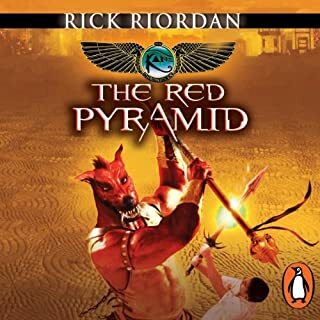 My 12 year old son recommended this to me and the whole series to date is the best I've read/heard in this genre - there are proper laugh out loud moments (not something I normally do), the plot is good but the best thing for me was the witty and wry banter between skulduggery and stephanie. The narrator is the best I've ever heard too - in a league of his own (and it was such a shame in the last book when he changed) . I can't wait for the next one in the series. I read this as research because I'm working with a young author at the moment. I thought it was great - really inventive with some amazing character names and a wonderful good vs evil plot. 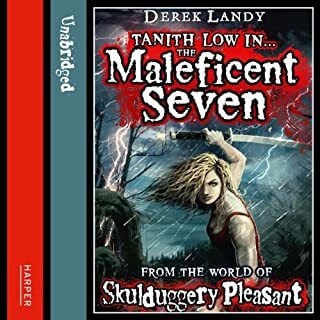 Skulduggery and his young sidekick (I won't give away her name) are wonderfully written characters - warm, funny and believable. The narration was top-notch too (it can so often let down an otherwise good story). The ending sets up the series action extremely well. I'm looking forward to discovering more of the clever Mr Landy's work! Excellent story that is brilliantly narrated. The whole family listened to it when we were on holiday last year (aged 7 - 42) and everyone couldn't wait to get back into the car after a day out to find out what happened next! A great tale for everyone to enjoy, even the adults. Most series start off with one strong book and have the tendency to dwindle in later books. That is not the case when it comes to the Skulduggery Pleasant series, which only gets better. I enjoyed this book although it is not as good as the later ones. However, the characters must be introduced and that required some scene setting. The narrator does a very good job and brings the book to life. I highly recommend it and strongly advise to download the later books as well. Masterfully read and excellent entertainment. 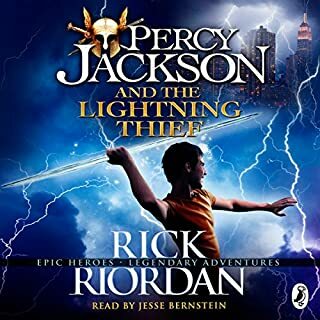 I picked this book in the hope that it really would work for all ages, because I wanted an interesting but cheering listen with nothing too horrible. It is exactly that and I can't wait for my next credit to get the next in the series. Rupert Degas is one of the best narrators I have ever heard. There's plenty to like about this audio book aimed at the young adult market. 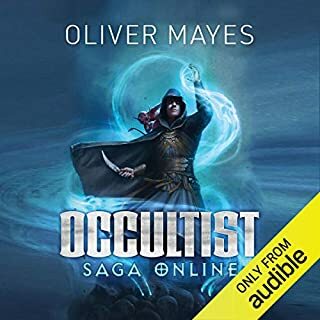 It has evil villains, magic, exciting battles and chases with plenty of unusual characters, all brought to life by the excellent narration. 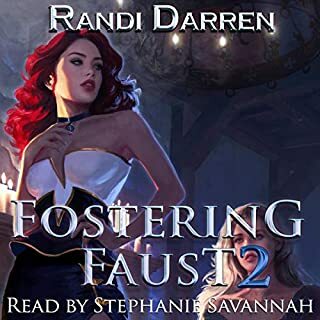 Rupert Degas voice is well suited for the male characters; deep, gravelly and spooky.I felt he was a bit weaker with the female characters in places but as he did a good job with Stephanie this did not detract from the audio book. Also loved the 'haunted house' instrumental music used in between chapters, a nice touch. 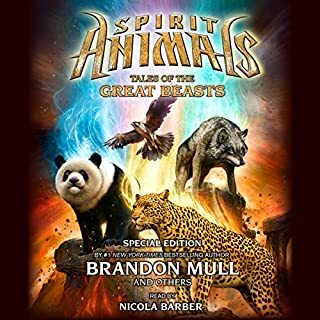 An audio book that will be greatly enjoyed by the younger audience but can also be enjoyed by the young at heart. I enjoyed this book, I do find that I often enjoy children's sci-fi as it is less 'intense'. However, I think it could get a bit boring to read too many of the series, but I might try another in due course. 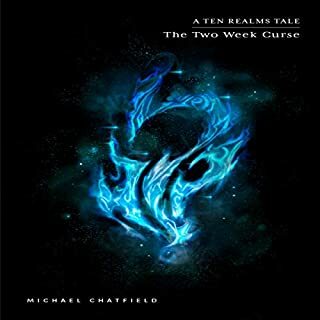 I chose this for the whole family (Mum and Dad, daughter 14 and son 11) to listen to on a long journey and it was a hit. The narrator is incredibly good which helped lift an otherwise slightly shallow plot. It certainly gave us lots of laughs and kept us sane for several hours in a small car! I ordered because my daughter wanted it. Decided to give it a go and really enjoyed it. A story that all ages can enjoy, well written with lovely dialogue and equally well read.